The Aether Chronicle #12: Sea Monster Sparks Panic At Lime! Sea Monster Sparks Panic At Lime! The Dark and Mysterious Continent of Egypt! Be A Featured Story in The Aether Chronicle! If you would enjoy being featured in The Aether Chronicle as an exciting and moving Feature Story, simply contact Leslie Orton and submit a few possible story suggestions! Some restrictions apply. The Aether Chronicle #11:The Great Exhibition Attended by Prince Albert and Queen Victoria! The Great Exhibition Attended by Prince Albert and Queen Victoria! Steampunk Rose Garden Dazzles The Upper Class! Ichabod Temperance Latest Novel both Scintillating and Riveting! 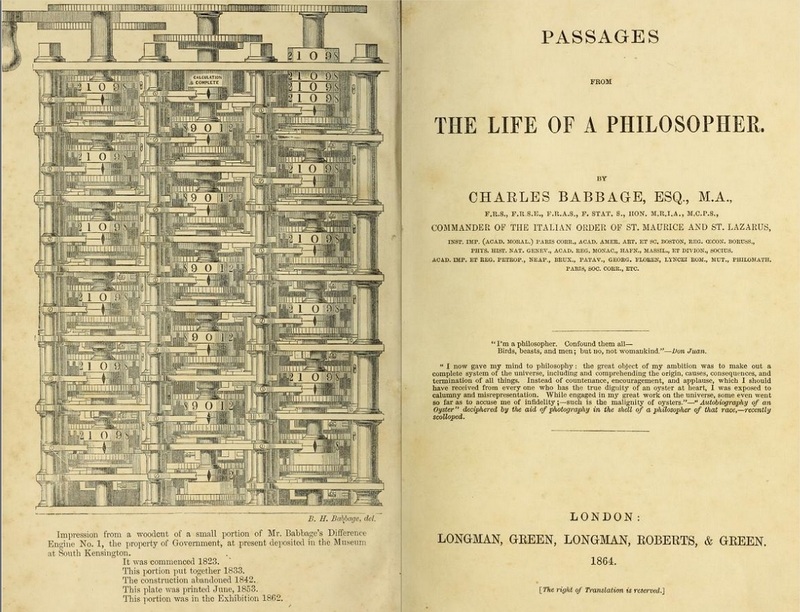 Some might find interesting the ongoing serialisation of Charles Babbage's quite peculiar autobiography at Net Advance Retro. In this month's chapter, Babbage, as a child, tries to call up the devil.